Today I am happy to announce the arrival of my second book. It's available on Kindle and in paperback. a blue bear appeared with a note from God? One night, Miss Millie of Blossom, Ohio turns her face to the stars and asks God for help. 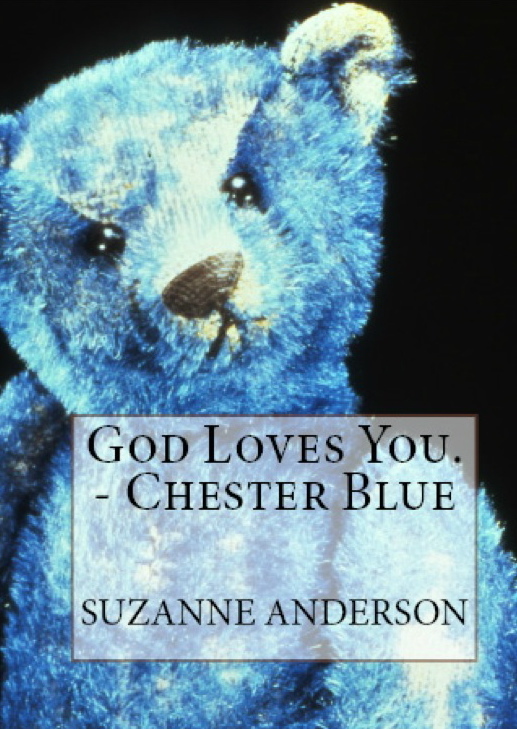 The next day, a package arrives on her doorstep containing a blue teddy bear and a special note. Beginning July 3rd I'll be on a month long blog tour and I'll be doing a few giveaways as well. Please help me to welcome Chester Blue into the world by sharing this post on Facebook or Tweeting about it on Twitter!